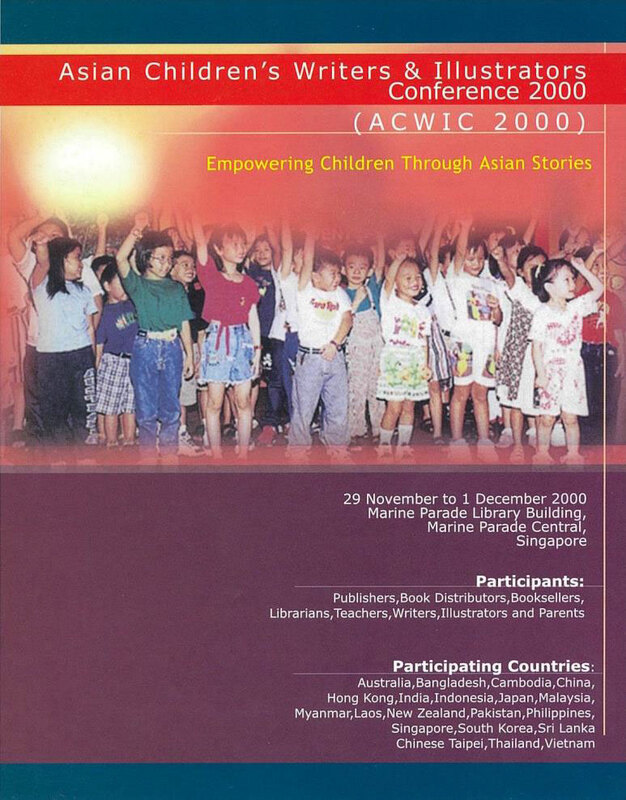 The Singapore Book Council (SBC) first organised the Asian Children’s Writers & Illustrators Conference (ACWIC) in 2000. Leveraging on the success of this initiative, SBC launched a much larger event called the Asian Festival of Children’s Content (AFCC) in 2010, of which (ACWIC) is now a part of. AFCC 2018 is the ninth edition of the Festival. The Festival aims at providing an opportunity to the community of children’s content creators to share their challenges and achievements, to develop new stories as well as explore the possibilities of marketing their publications both regionally and globally. AFCC focuses on Asian content. In many Asian countries, children’s books have for a long time been mainly imported from the US and UK. While we have all enjoyed reading those books we also think that it is important for children in Asia today to see and read about characters and situations that they can relate to and resonate with. In addition, it is also necessary for the children in the rest of the world to be exposed to books from Asia as well, so that they have a better understanding of Asian culture, tradition and way of life. As globalisation becomes prevalent the need for books from each of the Asian countries to be readily and easily available in and beyond Asia has become increasingly important. Hence, AFCC not only promotes the creation of more Asia content but also explores ready availability of it throughout the world. Over the years AFCC has been instrumental in developing closer working ties with the different national book institutions in Asia. For example the National Book Development Board in the Philippines, Kota Buku in Malaysia, National Book Trust in India, the Hunan Publishing House in China and the International Library of Children’s Literature, the Chihiro Museum in Japan as well as the Society for the Advancement of Children’s Literature, in Indonesia. The mutually good relationship has resulted in fruitful collaborations. The Western Australian (WA) literary organization, Writing WA would send at least 5 writers/illustrators to AFCC. The participation of WA writers at AFCC would be jointly subsidised by both the Book Council and its counterpart in WA. Both the organisations further cooperated and published, “Near and Dear” – a collection of stories by Singapore and Western Australian Writers. In 2013 we introduced the concept of the country of focus where we focus on a particular country’s children’s literature each year. As part of this initiative which we undertook we developed joint publications between countries of focus concerned. In 2015 we issued a joint publication with the country of focus – China, called ‘Lion’s Heart, Painted Thoughts: Children’s literature from Singapore and China” – a collection of stories from authors from Singapore and China. A spectacular launch of the books underwater in 2016 – perhaps the only launch of its kind in the world! The Country of focus had an additional advantage to participants of AFCC. It introduced for the first time in some depth the respective country’s literary luminaries who hitherto had been unknown to them. It also paved the way for closer understanding of the market of this particular countries and more formal links. For instance, the National Book Trust of India accorded us the Country of Honour status at their New Delhi World Book Fair. The Book Council was able to lead a delegation of 50 publishers, writers and illustrators to India and expose them to books and writers in the Indian Subcontinent. This gave rise to great interest in Singapore’s authors and publishers. It is hoped that AFCC will develop Singapore into a centre for cross country collaboration of writers and publishers as well as assistance to facilitate the entry of each other’s publications in their respective countries. NBDCS Chairperson Ms Claire Chiang with Minister of State Ms Sim Ann, during the launch of 3 picture books in CMTL, as supported by the Lee Kuan Yew Fund for Bilingualism, of which Ms Sim was then Vice-Chairman. We celebrate our writers and illustrators and their works on a special evening during AFCC called Celebrating Our Stars (COS). During the evening a presentation of Singapore’s new publications is made, new authors introduced and distinguished authors recognised. In 2013 we awarded the Life Time Achievement Award to Jessie Wee the pioneer of Singapore’s children’s literature. Plans are being made for HABA – Singapore’s only literary award for Children’s writers to be presented at this event and not during the opening ceremony where it has hitherto been featured. We also take the opportunity to launch the specially funded books at this occasion as well. At the AFCC Book Fair, Singapore books dominate the Book Fair where they are displayed and sold. Numerous new Singapore books are launched. Launching at AFCC has special significance as the books are noted by the delegates from more than 20 countries. We hope that the success of these books in Singapore would encourage more bilingual publications in Asia as a whole. Since 2013 we have published four themed bibliographies each year as follows: water, rice, trees and birds. These were distributed free to all delegates, libraries and schools. These bibliographies are availble for downloads here. One of the most important features of AFCC is the opportunity it offers for illustrators to display their works in the Book Illustrators Gallery (BIG). Ultimately we would like the Illustrators Gallery to also develop into a retail space for illustrators, where prints can be sold to the public. This would be the beginning of a market for book illustrators in Asia. Such a vibrant market for book illustrators exists in the West as well as in Japan and Korea while in other parts of Asia the potential of book illustrations has been hitherto neglected. BIG would stimulate interest in book illustrations as an art as well as a tradable work like any other paintings. Authors and publishers would be delighted to know that there is a lot of interest in their work within Asia. One way to promote books of countries writing in their respective national languages is through translations. We see the success of many Japanese books like Toto Chan, Moribito, manga by Osamu Tezuka and many others in the international market and this we take as the gold standard to aim for. AFCC has initiated a special Translation Track in AFCC which is spearheaded by well-known translators. This will continue to gain in importance as the demand for cross cultural material and stories inevitably grows. We hope that Asian popular stories published in one language would be simultaneously translated into one or two other Asian languages in the same way popular English books published in New York and London are translated to French, German and Spanish. AFCC is also able to facilitate the sale of rights of books written by Asian authors. In Singapore, our authors and illustrators have benefitted, with some titles being sold to Indonesia, China, Korea, India, and Turkey. Singapore’s former President S R Nathan’s book “50 Stories from my Life” has been translated into Hindi and Tamil in India. A special Rights Exchange session has become a part of AFCC since 2014. These award-winning books have collectively helped to increase demand for them as well as stimulated interest in other quality Asian titles. Manuscripts by participating Singapore authors Ovidia Yu and Pauline Loh whose books were shortlisted were published as well. AFCC plans to expand its list of awards to writers of stories for young adult fiction and published children’s books. One of the key problems we face in Asia is the access to books published within Asia. Countries in Asia do not generally buy books from each other. Neither are relevant books by the Asian diaspora made available. We hope that AFCC would facilitate the distribution of books with Asian themes within Asia as well as worldwide. Ultimately Asian children should be able to have the best books on Asian themes known and readily available, wherever they are published in the region. When this is accomplished the market for Asian books would be considerably increased. One of the main objectives of AFCC is to encourage Asian writers and illustrators to create new and innovative content and to understand the market and the end users better. To bring this about we invite speakers from the Asia-Pacific, as well as US and Europe, to come and present over 100 sessions across four different programme tracks: Teachers & Parent's Forum, Cross Platform Summit, Writers and Illustrators Conference and the Country of Focus. In 2016, we have invited a well-known African Literary Administrator, Deborah Ahenkorah from Ghana, to help us update and understand what is happening in the Children’s content in the African Continent. Similarly, in the previous year we had hosted Fatima Sharafeddine from Lebanon to present on the literary tradition and developments in the Middle East. We welcome authors and illustrators across Asia to take advantage of the ample opportunities during AFCC to meet them in the conference and social settings in a way no other meeting offers in any other part of the world. Visiting authors also launch their books and have book signings at AFCC. Some of these children’s authors, for instance, Rukhsana Khan (Canada) and John Mckenzie (New Zealand), have subsequently leveraged on the contacts made at AFCC and have been invited to speak at other events and schools in the region. Ethos Books Singapore, published Ice Ball in 2011 which is a collaboration between a writer from America and an illustrator from Singapore. In 2012, Shirley Lim wrote a children’s book Princess Shawl. This book was published in Malaysia. Shirley was inspired to write this book after participating in AFCC. In 2013, Grandma’s Persimmons was launched at AFCC. This was the creation of a Singapore writer and a South African illustrator who had met at AFCC 2012. In 2015, the AFCC published a book entitled Water. The text is written by an Australian and the illustrator is a Singaporean. In 2015, The Magic Bird was written by Ken Spillman, an Australian, illustrated by Malavika from India, and published by a Malaysian publisher. They all met at AFCC 2013, and this book is the culmination of that meeting. At AFCC 2016, we saw the launch of The Magic Spice Box. This was created by a Singapore-based Indian author Namita Moolani Mehra and illustrator Heetal Dattani, after they secured a deal with a publisher at a Speed Pitching (Writing) session at AFCC in 2015. A noticeable successful example is that of Adeline’s novel, Amos Lee which has been made into a film. Many of the stories by Emily Lim and Evelyn Wong have been dramatised. The process could be reversed too. For instance Little Wayang Kid was published in 2014 as a book, following the successful short film Wa is For Wayang by Brainchild Pictures. It has been proven that reading is fundamental to the growth and development of children’s minds. Children read more readily if the material read is based on the background they are familiar with. The AFCC gives great opportunities to parents and teachers to buy books at the AFCC Book Fair. They also get a chance to meet their favourite writers in person. Meeting writers stimulates interest in their books as well as promotes better appreciation of the writer’s works. Teachers often are unaware of new resources that become available to be used in their classroom. AFCC provides opportunities for them to get acquainted with both the resources and their publishers. Often experts are present at AFCC to guide teachers on how to use these resources in schools and to guide parents on how to stimulate interest in books and reading in their children. The organisers often commission the experts to make presentation on effective use of the materials in schools and at home. A good example would be the presentation at AFCC 2013 by John Mckenzie – The Trickster Tale and its Educational Value Challenges for Writers and Illustrators. Besides expert advice is given on how to select good material which is suitable for the respective age group of the children and how best to exploit the selected material to advantage. The AFCC has become an established festival and a brand with strong following in Asia and beyond. This is the only festival where Asian literary luminaries are featured and a platform given to emerging and promising authors and illustrators. This is also the festival where both the Asian and Western experts come to, in equal numbers and in equal terms, to meet and exchange views and experiences. The Festival introduces new programmes, services and publications every year. The Country of Focus, the publications, and new programmes, such as Portfolio Review, Children’s Book Writers Retreat and the like, have enriched and provided variety to AFCC programming. In terms of participation, delegates from about 30 of the 50 Asian countries targeted have come to AFCC. Despite the rising participation though, there is much to be done in terms of reaching out to more delegates in the region, both in depth and extent. AFCC is alive and growing. In the coming years, it will pay more attention to a stronger business focus, as well as revenue-generating activities and collaborations, with the aim of creating an even more financially sustainable event.